The state of New York will need to provide over $38 million to help three upstate cities affected by the loss of tribal gaming funds. Democratic Governor Andrew Cuomo’s administration has reached out to each mayor of Buffalo, Salamanca and Niagara Falls. The Seneca Nation of Indians fiasco has caused these three cities to lose highly needed gaming revenue. Earlier this month, Cuomo offered to help the city of Niagara Falls with $12.3 million to help close the city’s budget gap. This is a big change of heart giving his initial stance to not aid the city at all after losing its Seneca revenue. Salamanca Mayor Michael Smith told reporters he was contacted by Cuomo’s office. They inquired about the $9 million shortage in the city’s 2019 budget. Smith said it will be a couple of years before any drastic measure will need to be taken. “We’re not in the same financial difficulty as Niagara Falls,” he said. Lori Cornell, the governor’s regional representative, told the Olean Times Herald the governor intended to include funding in the state budget if the arbitration goes against the state. But the loss in revenue funds might require each city to make drastic budget cuts. Under the state-tribal compact, the Seneca Nation of Indians made revenue payments to the state from their three NY casinos in Buffalo, Salamanca and Niagara Falls. The tribe operates Niagara Resort and Casino, Buffalo Creek Casino and Allegany Resort and Casino. In 2016, those much-needed revenue payments stopped after Seneca claimed that its compact with the state did not stipulate payments beyond 2016. The result has plunged Cuomo into arbitration talks with Seneca Nation President Todd Gates. 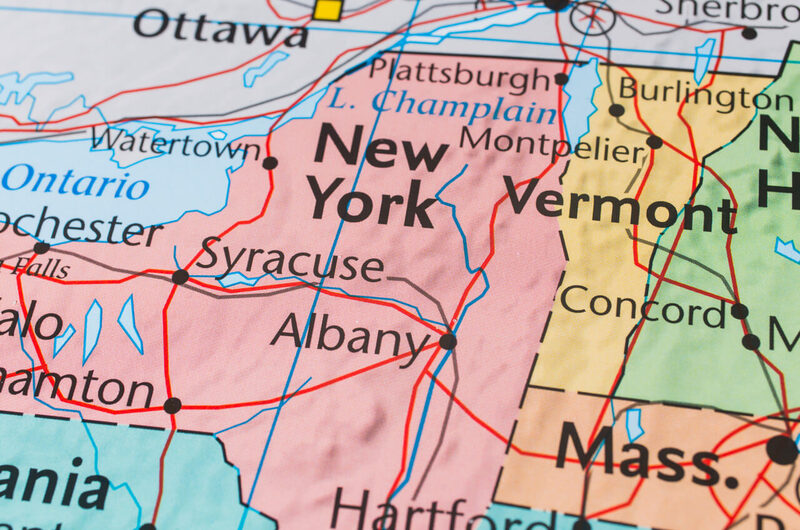 The disagreement stems from wording in the compact which guarantees casino exclusivity in certain parts of upstate New York. While both parties agreed to extend the compact, language regarding revenue payments did not change, resulting in the current predicament. However, this is not the first time Cuomo has tangled with the Seneca Tribe. After a four year dispute beginning in 2009, the tribe agreed to pay back $408 million in lost revenue. If all three cities are looking for a quick settlement this time around, they better buckle in for the long haul. According to reports, a three-member arbitration panel will meet in December to attempt to fix the disagreement between the state and the Seneca Nation. Although talks are scheduled, either party can appeal in federal court, meaning a resolution could be years away. Cuomo’s administration could not be reached for comment. Smith and Niagara Falls Mayor, Paul Dyster view Cuomo’s effort to help as a “stop gap.” Additionally, one city council member in Niagara Falls called Cuomo’s plan an election year gimmick.